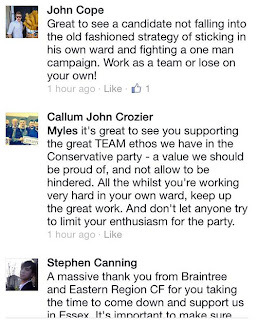 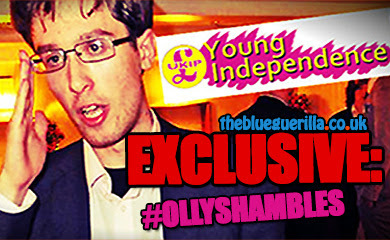 TheBlueGuerilla: EXPOSED: Tory Activists Slam Conservative MP After Attack on Hardworking Candidate. 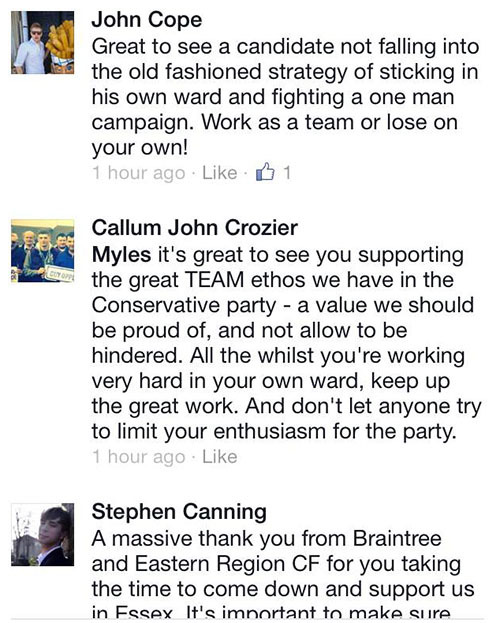 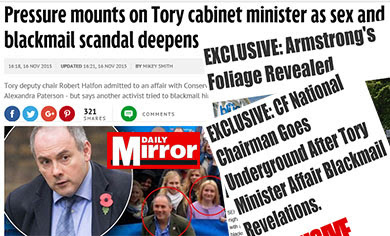 EXPOSED: Tory Activists Slam Conservative MP After Attack on Hardworking Candidate. 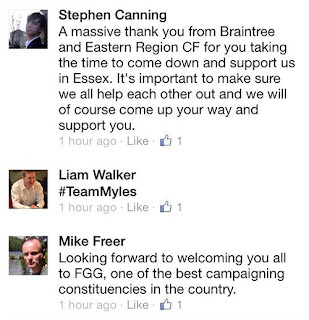 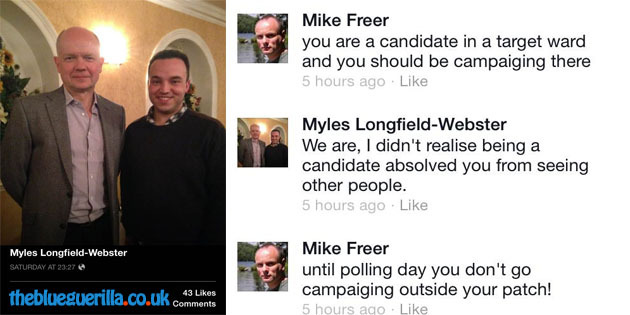 CONSERVATIVE FUTURE activists have stood-up against a Tory MP who slammed his local constituency Councillor Candidate, Myles Longfield-Webster, for campaigning outside of his constituency, TBG can sensationally reveal. 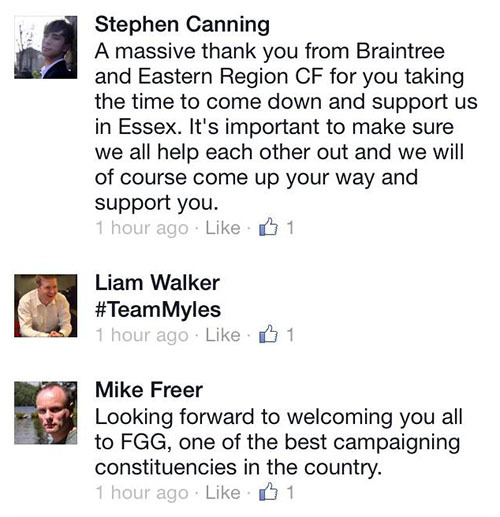 The hardworking Tory grassroots candidate for West Finchley, Myles, posted a picture with the Foreign Secretary on Facebook after tirelessly campaigning for the Conservative cause he so truly believes in. 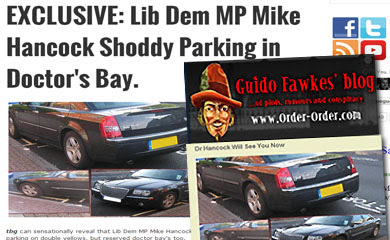 Only to then be attacked for his efforts by his local Tory MP for Finchley and Golders Green, Mike Freer. 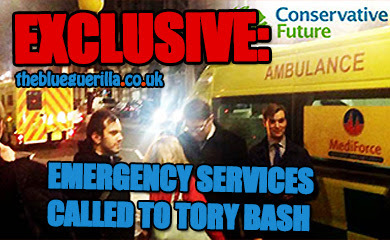 The incident has been described as "interesting" by a No.10 Downing Street spokesperson. 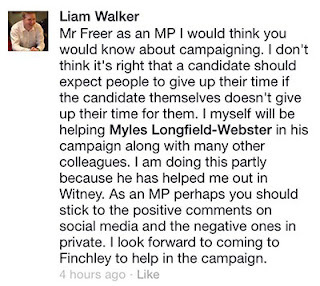 I knew Liam (Call Me Dave) would have something to say.